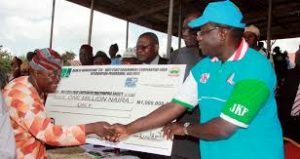 Watermelon Growers Cooperative (WGC) Initiative – Want to Be A Richer Farmer? We Have the Secret. Want to Be A Richer Farmer? We Have the Secret. This idea came up after getting series of calls from my readers who live around Lagos and Ogun state. In this post, I will explain what WGC is all about and why I think you should consider it. This idea is intended to bring together people of like minds who will share ideas towards succeeding in their chosen course. Interested members will come together, get a spacious land in their agreed location, and combine cash to till the land. Do they have to do a joint business? Not at all. After tilling the land, the portions will now be shared among the members according to the amount paid, and individual will face his or her project. Why Should I Consider WGC? There are challenges with every business. Farming is not different. But when people with same ideas and plans come together, consult together, make plans and follow up on them, the result is usually better. Cost Reduction: With the skyrocketing cost of hiring land and tractor, it will definitely save you a lot of cost if a large area is leased and tilled altogether. 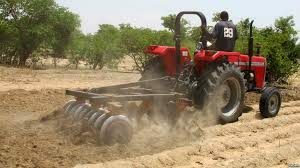 For example, hiring a tractor for tilling 1 hectare may cost you almost the same amount to till 2 hectares. Can you see the economic wisdom here? Enhanced Security: In this era of Fulani herdsmen destroying farm produce, it makes a lot of sense to get a suitable location and work together to fence it, instead of doing so individually. When your watermelon fruits begin to get ready for harvest, it may be necessary that you have a night guard to watch over your farm. You will agree that this is much easier when you work together as a team, than in isolation. Consider an example: A night guard may charge as much as 20 to N30,000 per month. With 10 cooperators, that is just N3,000 per month. 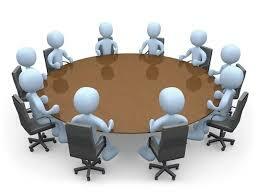 Idea Sharing: As a team, you can hold weekly meetings, table your challenges, and find solutions to them. In the absence of the spirit of competition, there is so much to learn from your fellow growers. 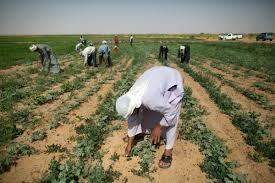 For example, there are some who do not even know where to hire land or tractor. WGC takes care of all of that. Easy Access to Loan: Nowadays, it is almost impossible to get government loans except you belong to a cooperative. 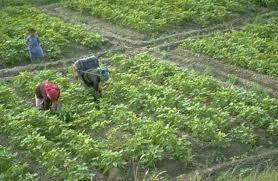 And recently, CBN has been helping farmers with very low interest loans to boost agriculture in Nigeria. 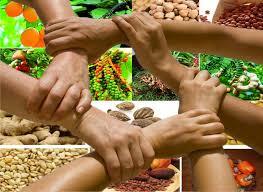 Growth Potential: If this is well managed, do you know that this tiny idea can translate to bigger agro-investments? Think beyond watermelon. Think bigger. Think processing. There are lots of benefits. 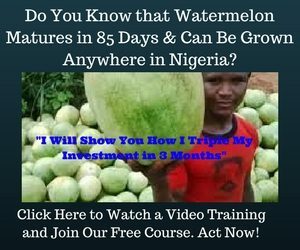 This initiative will be open ONLY to those who have the Watermelon Production Manual, or those who have received my one-on-one training. For now, this will be limited ONLY to people around Lagos and Ogun state. Why? From record, that is where I have a bulk of my readers. I do know that large expanse of lands can easily be located around Ogun state. This idea may be extended to other areas with time. Will I Be Directly Involved? Not directly. This is going to be individual projects. However, I will be free to offer support on the phone and via email at any time. If for any reason the group wants me around, this is going to be a special arrangement and will attract a charge. My only involvement is to help to bring together those who are interested in the project. They will in turn carry out all the necessary arrangement, while I contribute my quota to their success. I’m Interested. How Can I Join WGC? Send your name, phone number, and location as email to hiwebstuff@gmail.com. Be sure to send the same name and phone number used when you paid for the Watermelon Production Blueprint. This will be verified. Do this as soon as possible to enable the team plan ahead for the next planting season. The group rep will contact you for details and you can take off from there. I wish you all the best in this wonderful endeavour. I rejoice whenever I see your comments or questions. Use the comment box below. Joe, thank so much for the stuff, i live in akwa ibom state. I don’t have your manual yet. How do I get it. And then key in to this. I enjoyed and loved to be among but iam in Akure. Hw can you help me? Thanks 4rm Darlington, when ar u coming dwn S/East OR S/South? I stay in Port Harcout. Dear Joe, you have just solved a major problem for me with this WGC proposition. Since I purchased the Watermelon manual early this month,I have been wondering how and where I would get a suitable land for the business. I support the idea 100%, and I am already one of the cooperators. I am based in Ikorodu, Lagos. I am sending my information straight away. That is very possible. Lagos and Ogun were chosen because most of my readers are from there. If we have a sizable number in Edo and Delta, the arrangement is very possible. Perhaps you can coordinate that and promptly inform me. Sir am really happy for this information. I live in lagos but the problem irs that am a security man that just started working this month so when his the next planting season let me start saving towards it. hi joe, am highly impress wiit dis development…am in kaduna, any plans 4 us…secondlly, wit like how much can someone start wt watermelon production in small scale? You can plant anywhere. The amount needed depends on the size. Getting the seed, chemicals and fertilizer will be all that you need, while you do the manual work. WGC can be extended to your area as soon as you have a size-able number of growers. You are welcome. The WGC can be arranged in your location by you and your fellow cooperator. Just notify me so I can know where and how to come in. Just bring people interested in the project together, send them this link, http://www.agroincome.com/wm to join our free email series and www. agroincome.com/wm2 to get their blueprint. You can count on my full support as soon as they have their blueprints. I am interested in the WGC and have already bought the blue print but will like to know how much will be my contribution and where the farm will be. I have already indicated my willingness to join two weeks ago. I need to purchase the manual first; but can’t get the page anymore. I guess I have to visit the website! Thanks so much for the good thee,I want to know how can I get a good seed and what period of the year can the planting start. Like I mention on our private discussion, I already have vast land in the south approx. 71 plots of land. All I need is a guide to start immediately. Thanks. I love this idea I support 100%, I base in Ibadan. You know Ibadan better. I think you have to work on that. I however, do recommend some government agency to visit for land issues (See your Watermelon Production Blueprint at http://www.agroincome.com/wm2). A group should be at least 10 persons. It is a good idea. I leave in lagos. How do we see for one on one training and what is required? Thanks Mr Michael. Please give me a call. Nice idea sir… but I live in Benin City,Edo State. No problem. We can talk about that on phone. Thank you so much chairman Joe,watermelon guru.you are only concerns about Lagos,Ogun.nigerdelta awaiting to merged with your stuff.bravo.NB.I have seven candidates now on my list. Thank you so much chairman Joe,watermelon guru.you are only concerns about Lagos,Ogun.nigerdelta awaiting to merged with your stuff.bravo.NB.I have seven students waiting to received you. I want to request for blueprints. I am already a registered member receiving messages. You sent a notice to pay some amount there and then, but could not assess my email then. I pleaded for another chance to make up. I live in Ilorin and support WGC well. However I am retiring in December. I shall want the blue prints to study and prepare. Please let me know how to pay. Thanks. This is a welcome development, I live in Kebbi state and will like to join, how do I go about it? WGC: great idea. Laudable. Will reduce cost and foster unity. Thanks for this idea. I am interested. But I stay in Warri DeltaüState. How can you be of help those of us here. Form a group of at least 10 willing farmers in your area and contact me for further arrangement. Grand idea. Am for it too. Smart and burden sharer. Good idea guy, if some group of individuals can get access to a land in another state and call on you for help, will you be there. Great Idea. However, where is the location of the land to acquired in Lagos or Ogun? Cost of land should be considered against returns on investment. Wow. This is spice to the soup.I’m coming on board. In the meantime, I’m accessible to about 400 hectares of arable farmland here in Ogun state for leasing for Agriculture business. Getting my watermelon production manual next week. This is an excellent idea and I will love to be part of it but I am in Osun state. I think separate arrangements should be made for different states and it should start immediately because this WAG can be a big business for you and your team Joe. We can get land but to have a team to work with might be a bit difficult. Thank You Sir For Your Post. 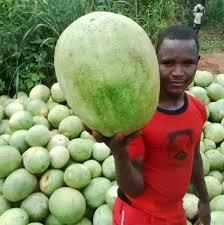 Am in Benue state and I am interested in the water melon business so I need your assistances in farming process please. Am so glad that you are doing this. 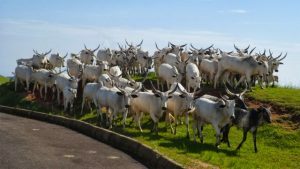 I stay in Jos and how can I benefit from all these? I love this! This is good idea as soon as I have money I will pay because. I wanted to join and plant the watermelon.